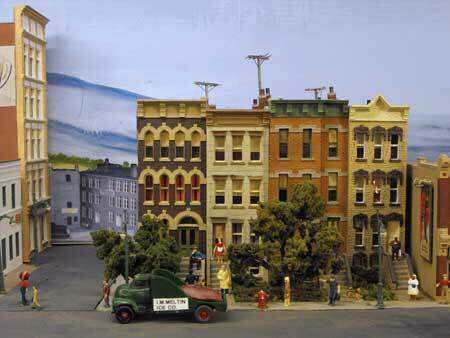 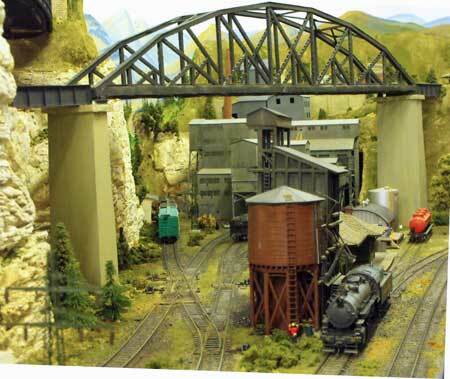 This was a spectacular, highly-detailed, operation-oriented model railroad on the layout tour of the NMRA Niagara Frontier Region's (NFR) Woodstock Turn train meet held in mid-April, 2009. 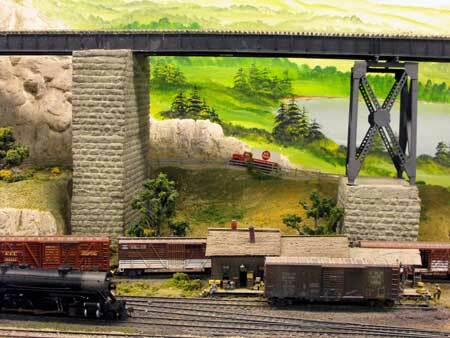 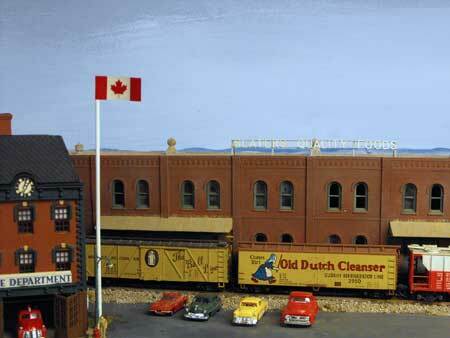 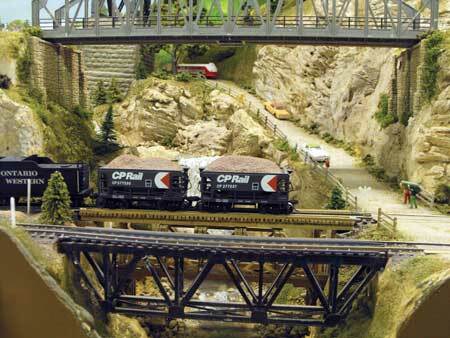 The Ontario Western, owned by Don Pearce in Woodstock, Ontario, Canada, is a group effort by very talented model railroaders. 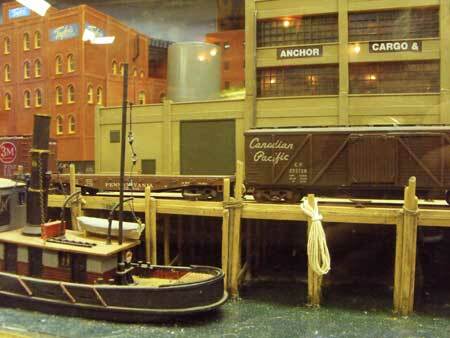 It occupies a 24 X 36-foot room and is built on two decks. 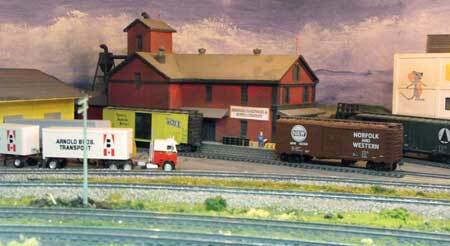 This is a point-to-point plan with two staging yards and approximately 500 feet of mainline and branchlines. 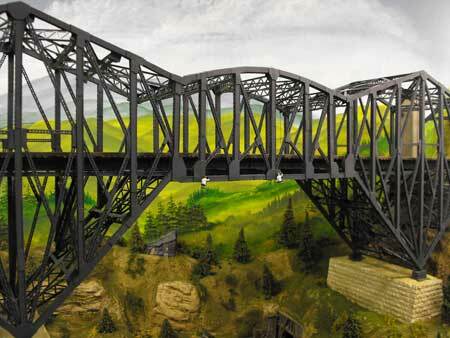 A card order system was under development. 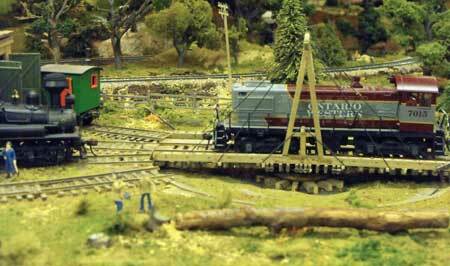 Walkaround control was by Digitrax with both steam and diesel sound units. 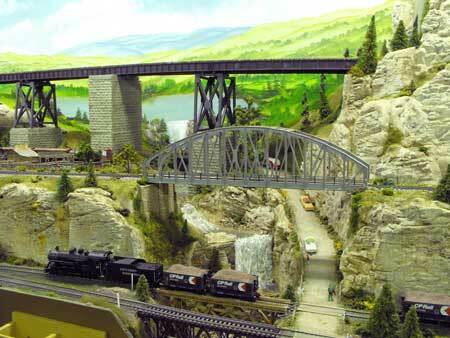 The era represented is the 1950s to 1960s in Ontario. 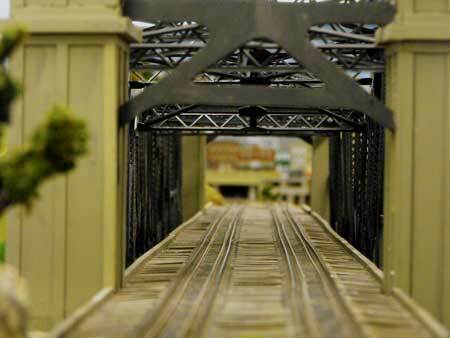 There were many scratch-built structures and bridges. 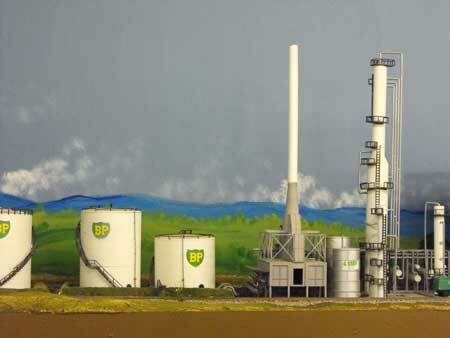 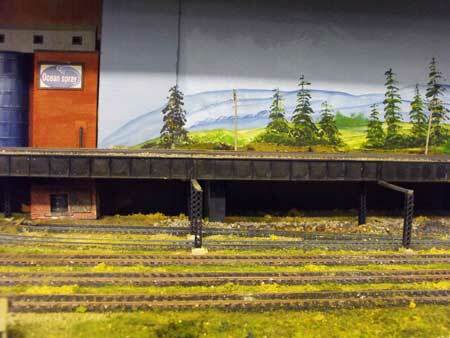 Scenery at the time was almost completed. 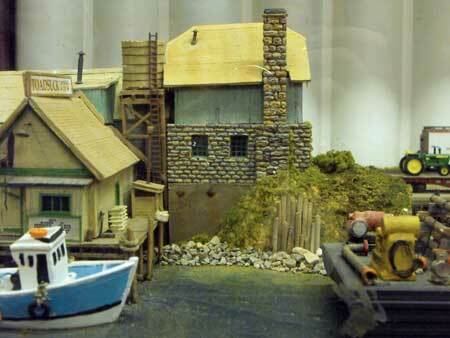 There were some terrific modelling ideas here. 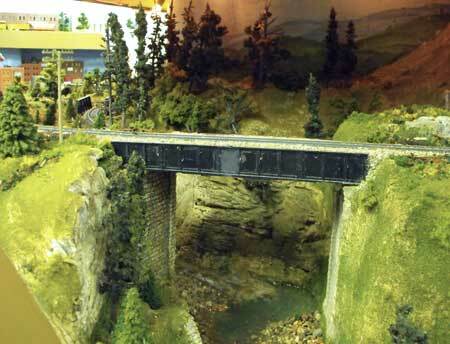 Take your time browsing through the images and click on the photos for a larger view. 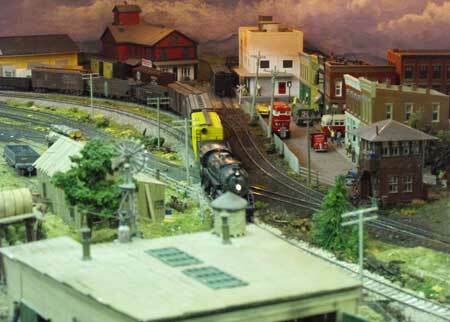 Congratulations to Don and his crew. 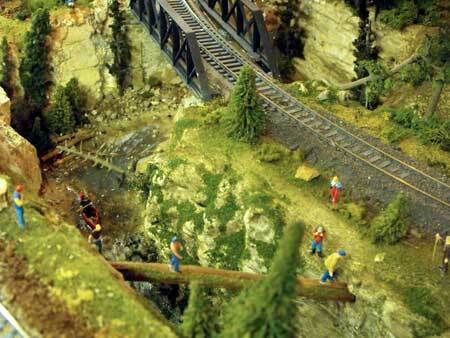 I hope you enjoy these model railway photos as much as I did. 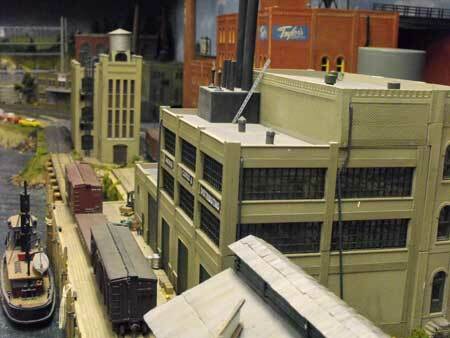 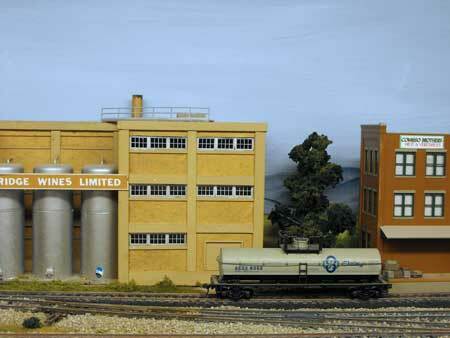 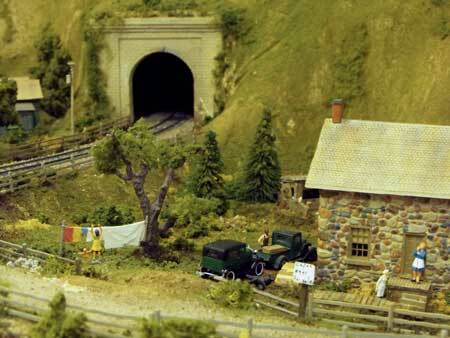 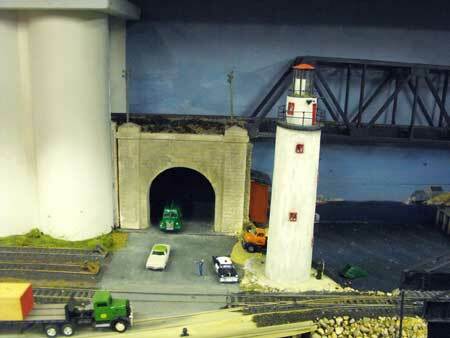 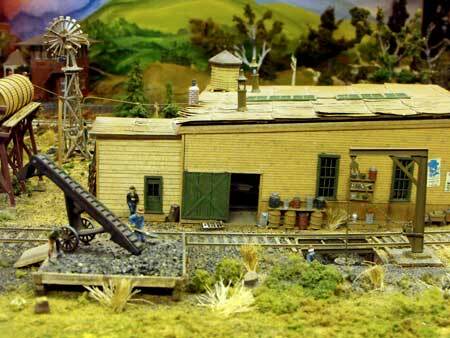 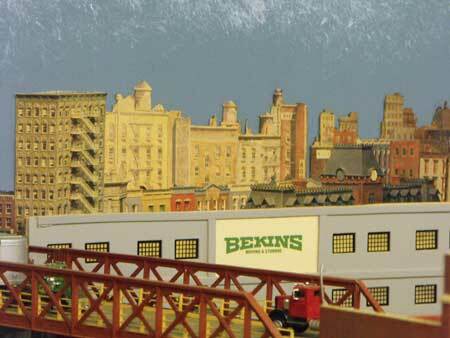 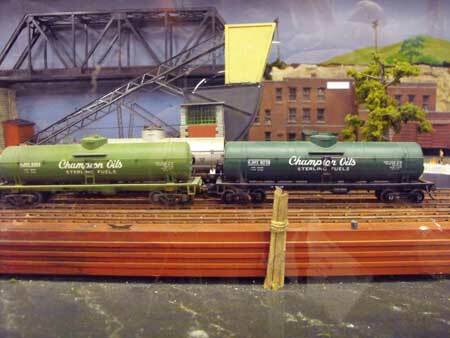 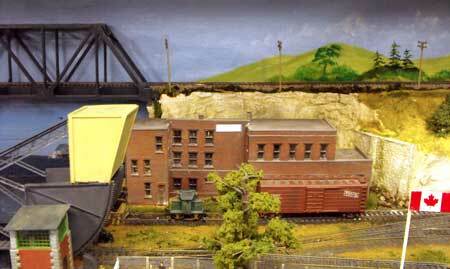 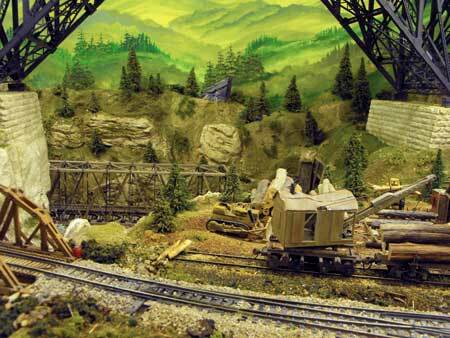 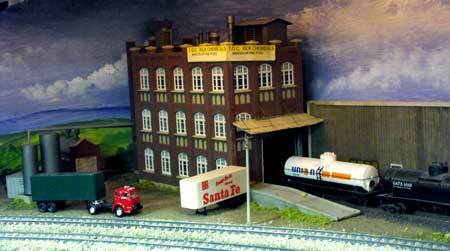 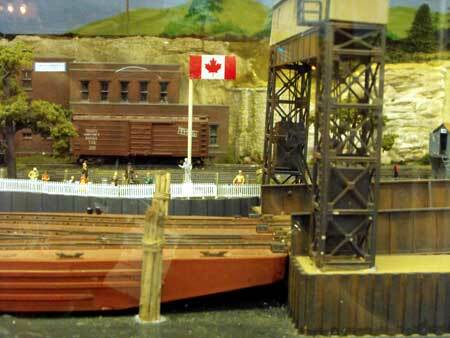 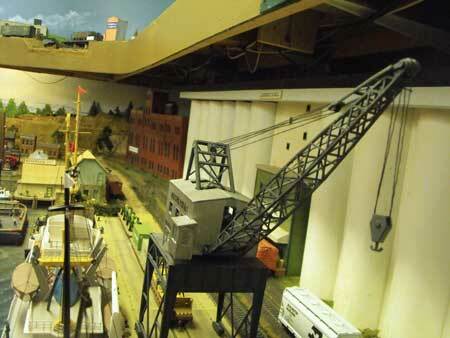 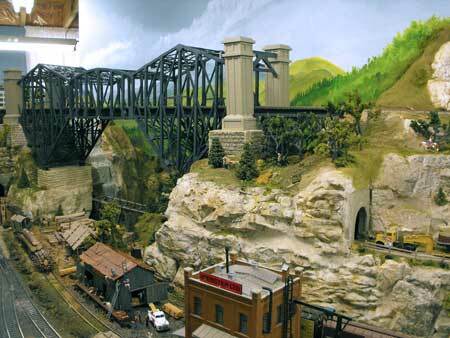 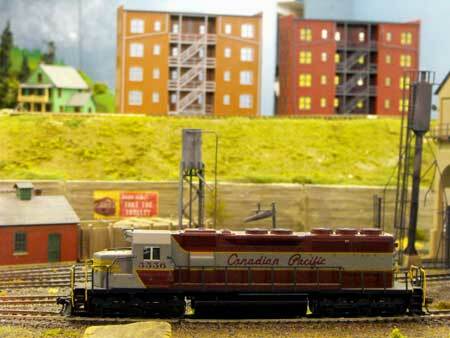 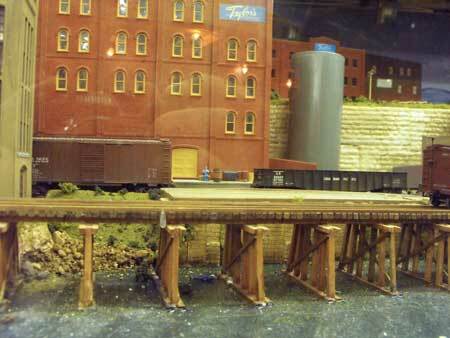 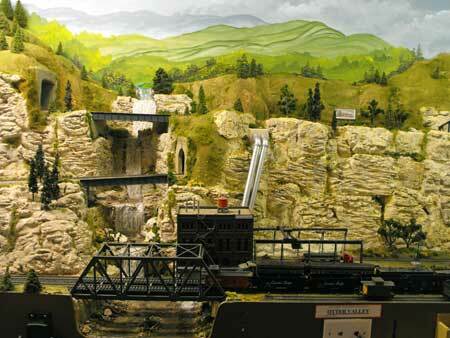 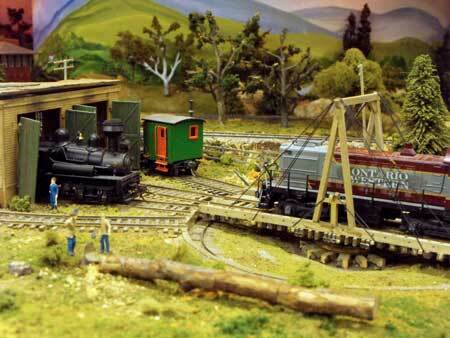 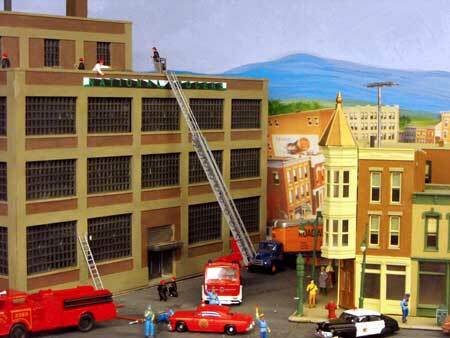 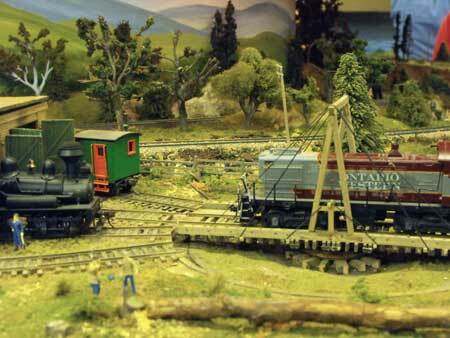 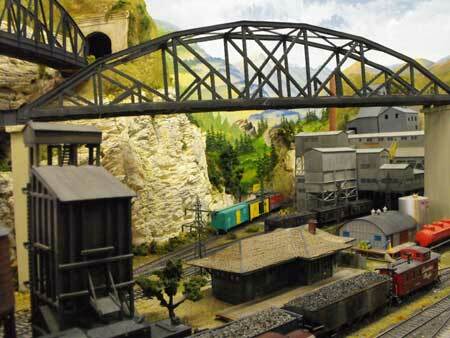 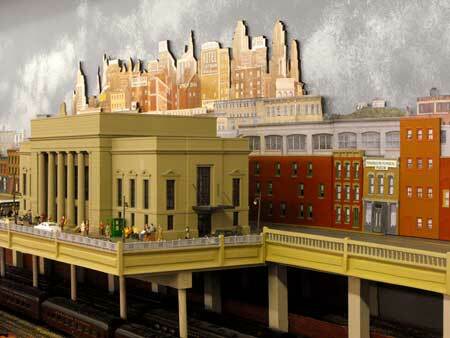 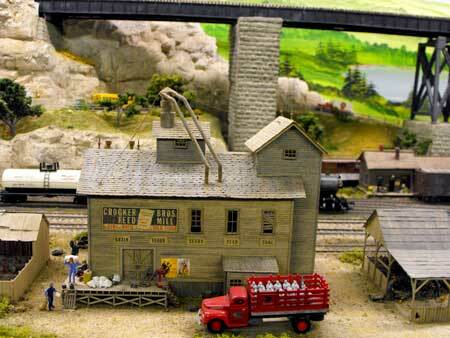 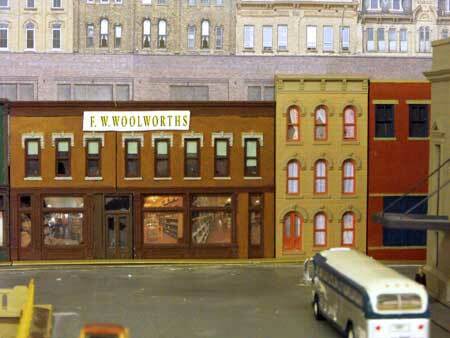 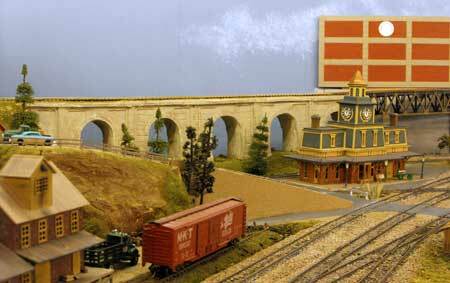 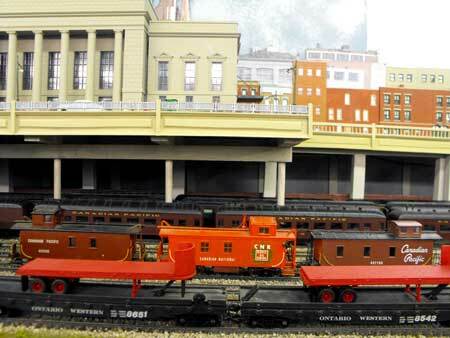 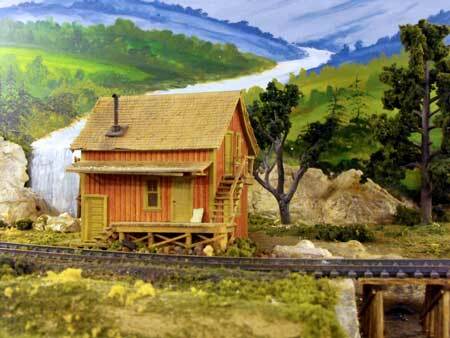 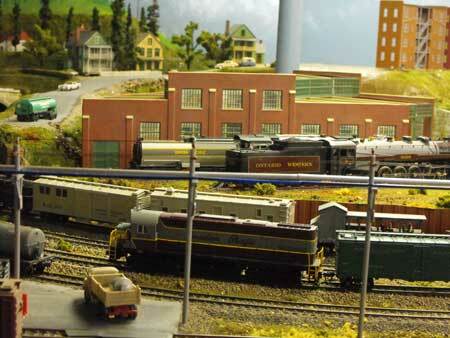 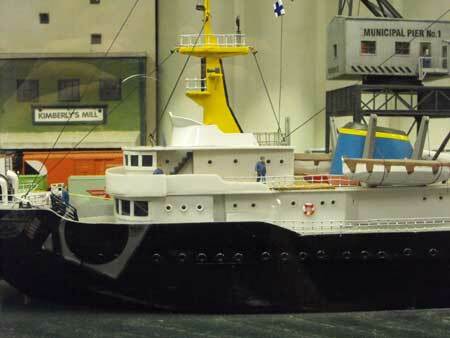 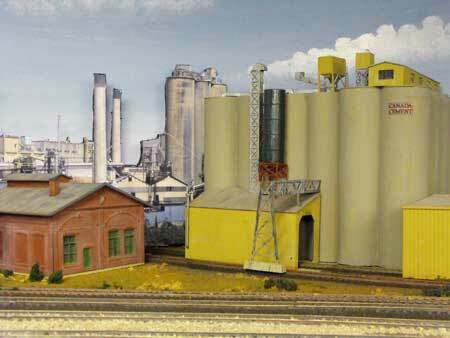 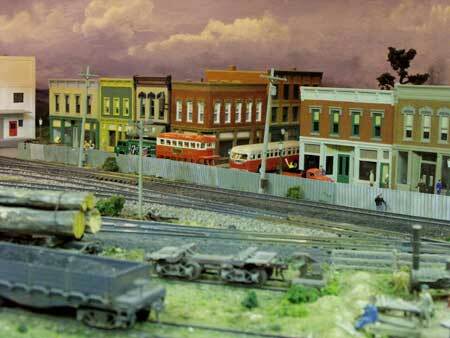 Check out model railway photos from the Saturday layout tours. 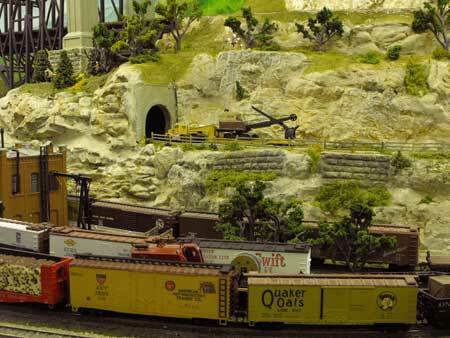 Take a video ride in the cab of a GP7 on the NFR's Ontario Southland RR prototype tour. 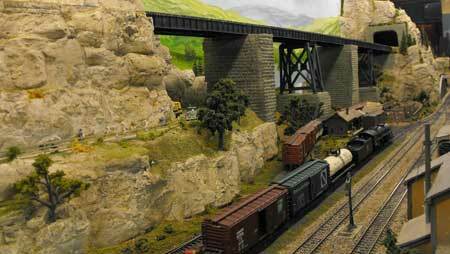 Return from "model-railway-photos" to the Train Photos overview. 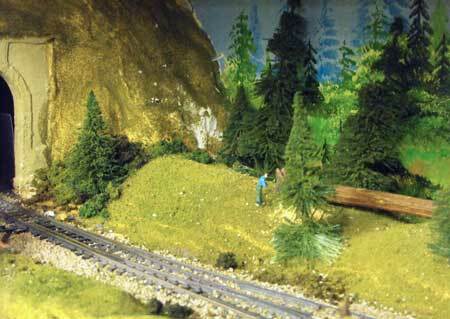 Return from "model-railway-photos" to my Home Page.